The historical garden “American gardens” is a valuable non-material cultural property which was put under preventive protection on 11 April 2016. It is situated on a terrace-like terrain above the conjunction of Rakovčeva Street and Nova cesta. Considering the composition, the materials, the ornaments and communication, the gardens are a valuable example of Modernism with elements of historicism. 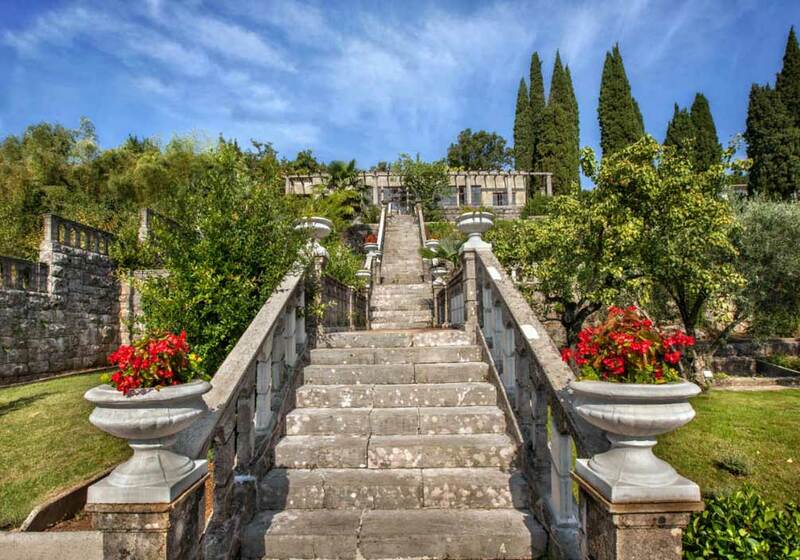 The American gardens were built in the 1st half of the 20th century, in honour of Hilda von Hortenau, originally from Opatija, by her husband, the Hungarian Mihaly Pal Kuczor. The gardens owe their name to the continent where Kuczor created his business empire by selling Szegedi paprika. The gardens have terrace like landform, with beautiful view on the Kvaerner bay. Since the gardener's house was built way before all other edifices, there is an obvious and much expressed sense and understanding of landscape architecture and horticulture. 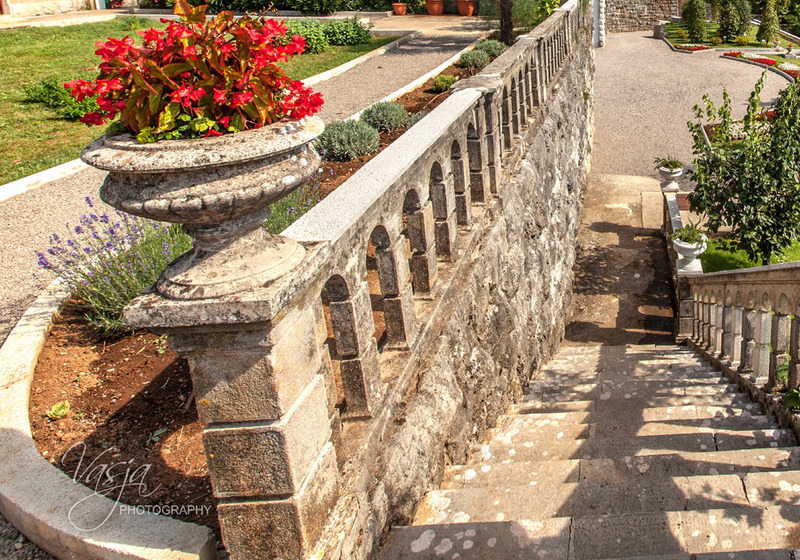 The gardens used to have a pergola, a stairway, benches and tessellation. A characteristic feature of the gardens is that the plants were properly organized, either clipped into spherical or pillar-like forms (the cypresses), or planted in a web layout. They were planted with camphor, eucalyptus, camellias, gardenias, magnolias, Australian agaves, thousands of roses, Vitis Vinifera, paprika and many other valuable plant specimens. It is interesting that the impressive ruins of Šišina mirina were kept due to the fact that Kuczor was allowed to buy the land only if he kept the ruins. An elaboration of projects is underway as well as the collection of licenses for the reconstruction intervention on the garden elements and the botanical collection, as well as for reconstruction of the existing buildings in order to create conditions for using the garden as a contemporary botanical garden. *for the period 26.04.2019. - 3.05.2019. Did you know that this imposing ruin inside the American gardens was named after the nickname of its first owner Ivan Jurković Šiša and the chakavian augmentative of the Italian word "muro"? Did you know that the soil meant for shaping the 30ha terrace-like gardens was brought by carriages? 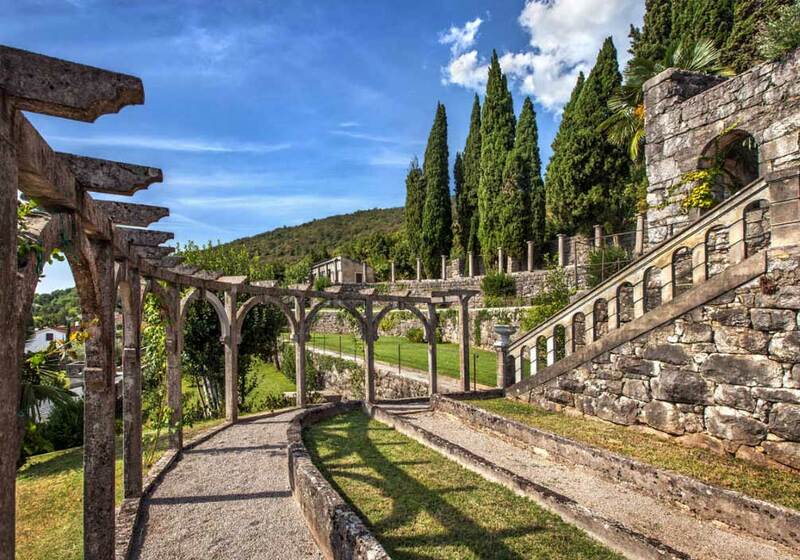 ... that the American gardens were built between 1926 and 1928, in honor of Opatija's Hilda von Hortenau, by her Hungarian husband Mihaly Pal Kuczora?